Nina Simone, dubbed the “High Priestess of Soul” was brilliant and complicated. A Native of Tryon, North Carolina, she went on to international stardom and notoriety as a mercurial singer, songwriter, pianist, arranger and civil rights activist. 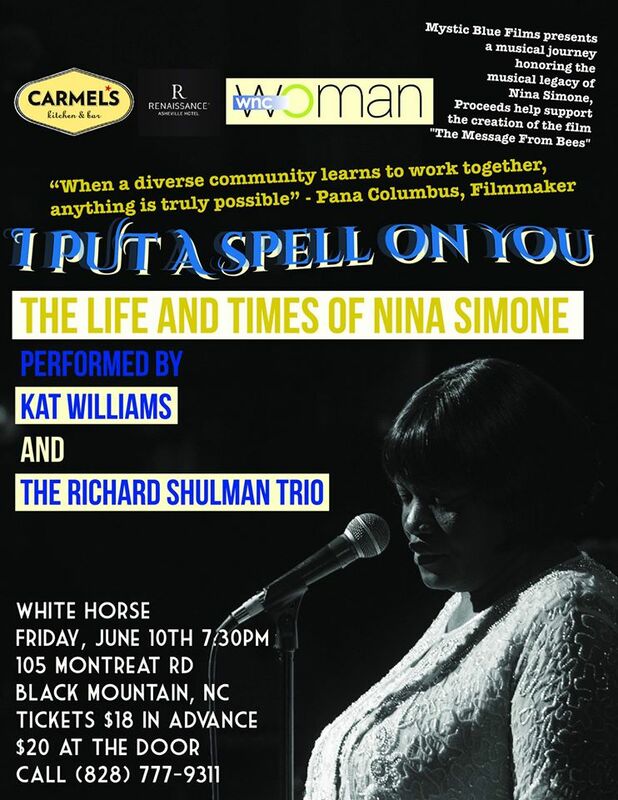 Asheville’s own diva, Kat Williams, salutes this musical giant on Friday, June 10 at 7:30 p.m. at the White Horse Black Mountain accompanied by the Richard Shulman Trio with a special tribute show, “I Put a Spell on You”: The Life and Times of Nina Simone. Nina Simone’s vast catalog includes classical, jazz, blues, folk R&B, gospel and pop, so it’s a rare performer that can do the music justice. 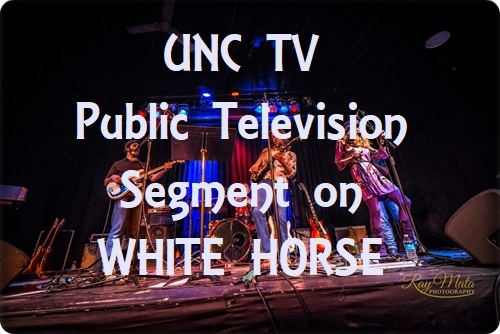 Vocalist Kat Williams is equal to the challenge, possessing an impressive command of multiple styles and an animated stage presence that has earned a large fan base in the Asheville area and beyond. Although she’s best known for her soulful, bluesy textures, the versatile Williams is at home with jazz, blues, Motown, R&B, rock, pop, Broadway show tunes and gospel. She has a remarkable vocal range, sometimes employing a smoky alto reminiscent of Dinah Washington or Mavis Staples, while at other times singing with an agility and playfulness that recalls Ella Fitzgerald at her peak. 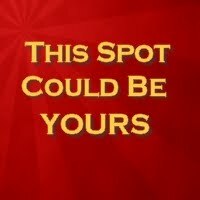 It’s not surprising that she’s become one of the most in demand singers in the region since moving to Asheville in 1997. 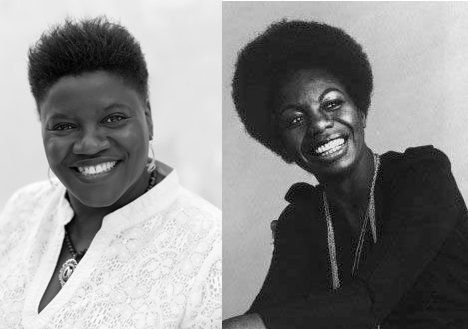 Ms. Simone was already an accomplished classical pianist in her teens, attended Julliard, and planned to pursue a concert career until a rejection for admission to the prestigious Curtis Music Institute necessitated making a living in popular music. The former Eunice Waymon became Nina Simone as a way to disguise from her religious family that she was playing the “devil’s music”, and because of the demands of her nightclub gig she had to learn to sing to her own accompaniment. Doing justice to the eclecticism of Simone’s playing requires a special kind of pianist, a description that suits Richard Shulman. Area music fans are aware that he’s brilliantly fluent in whatever style of music is required, and he’ll be ably assisted on this occasion by bassist Shannon Hoover and Rick Dilling on drums.